You can take a box of cake mix and make it look like homemade. 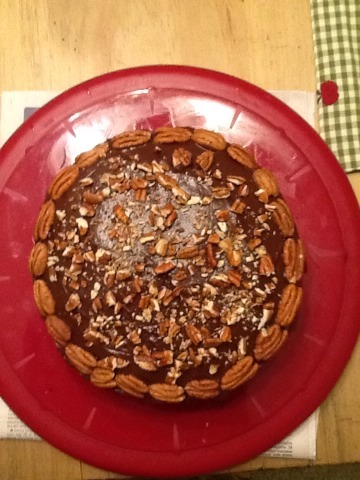 All I did was use chocolate cake mix and added pecan pieces in the mix. Blended that together. Then I sprayed my cake pans with coconut oil. Bake the cake as directed on the box. 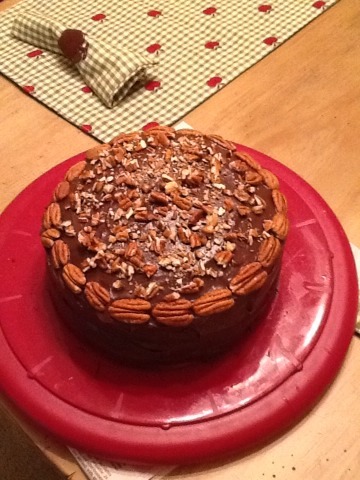 Used chocolate frosting in between the layers. Then frosted the whole cake. 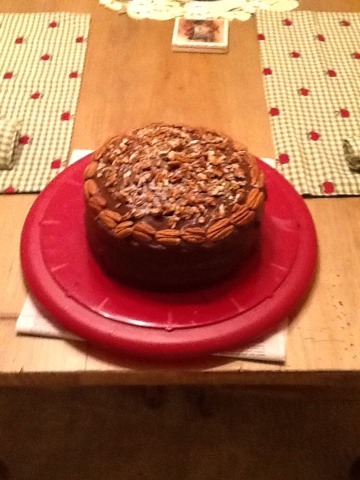 Added some whole pecans around the edge and use pecan pieces on top to decorate. Very easy to do when you have little energy to bake from scratch.